We may not be getting much of a winter, but there's still reason to look forward to spring. Case in point: Food Truck Eats and the Toronto Underground Market have just announced that they're teaming up to host a Street Food Block Party at the Don Valley Brick Works on May 5th. Although details regarding vendors remain scarce, it's pretty obvious that the two parties make for a natural pair. Events hosted by both groups were jam-packed in 2011 as the city's appetite for street eats and unconventional vendors reached new heights, so you can expect the venue to be a complete zoo for this one. 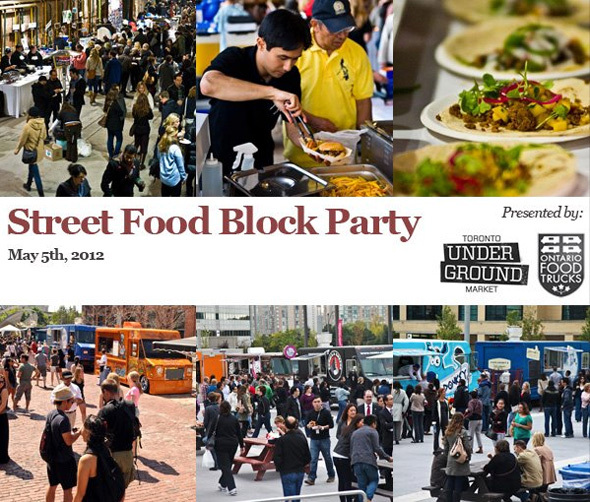 Something about the concept/branding of a block party just seems well-timed given the degree to which the city has embraced these communal food events. Tickets won't go on sale until April, but you'll want to be prepared, as the betting is good that they'll sell out quickly. What do you think? Will you be looking to attend? More info, as it becomes available, will be posted to the event's Facebook page.